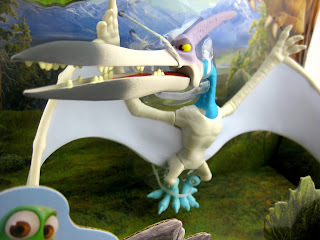 Note: Most of this info was stated in part 1, so if you read that, feel free to skip ahead to the good stuff! Additionally, you'll notice that each "small" and "large" figure in the line comes with a collectible critter. 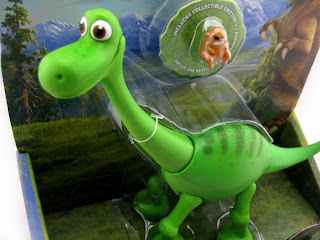 This is one of the coolest and most clever things about this collection. 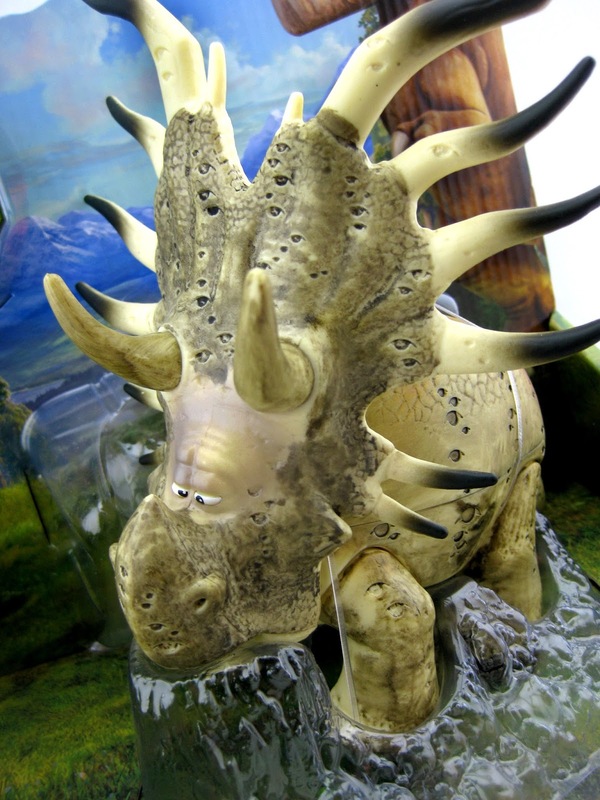 I'll explain- In the film, Forrest Woodbush (a wise and mysterious styracosaurus, seen below) dwells in the woods with many forest critters atop is horns (apparently he believes they protect him). 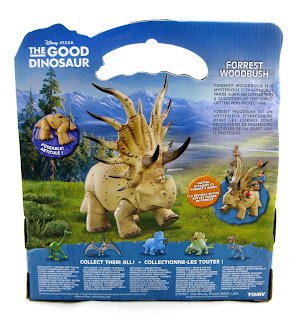 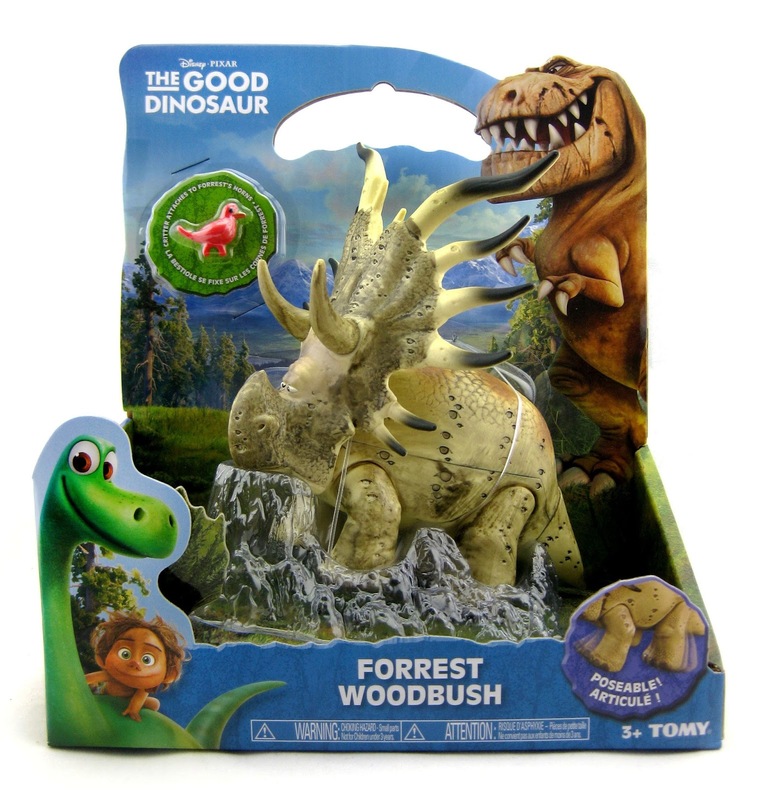 SO, back to the toy line, you can collect all 16 of Forrest's critters and attach them to the horns of the figure (as seen on the back of the packaging below)! How fun right? 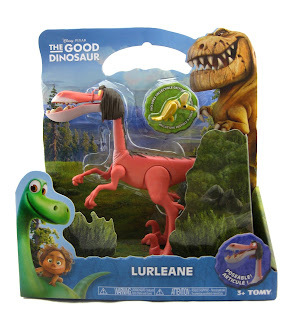 UPDATE NOTE 5/16/16- I just received Lurleane, Jack and Downpour from an eBay seller in Australia! 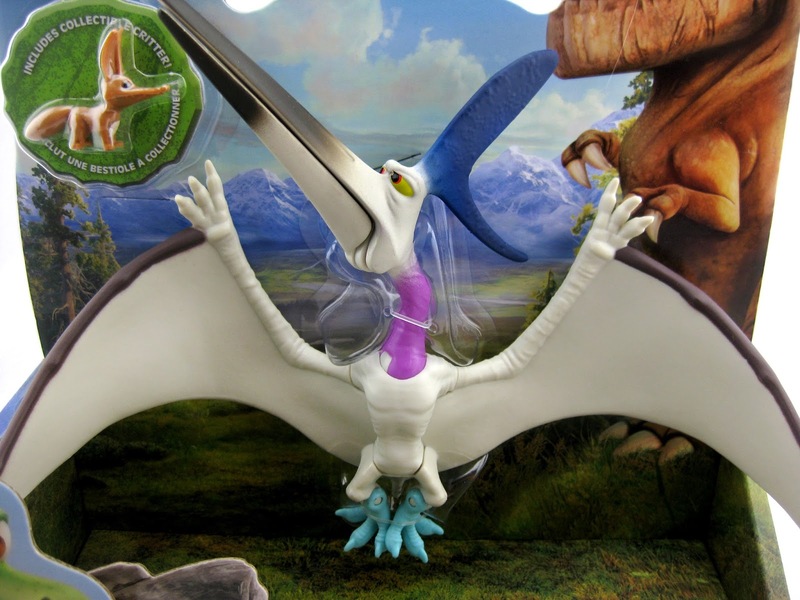 These three had a very limited distribution, since the line was ultimately cancelled around the time of their release. There are few of them out there, so I'm thrilled to have them as part of my collection. Check 'em out! 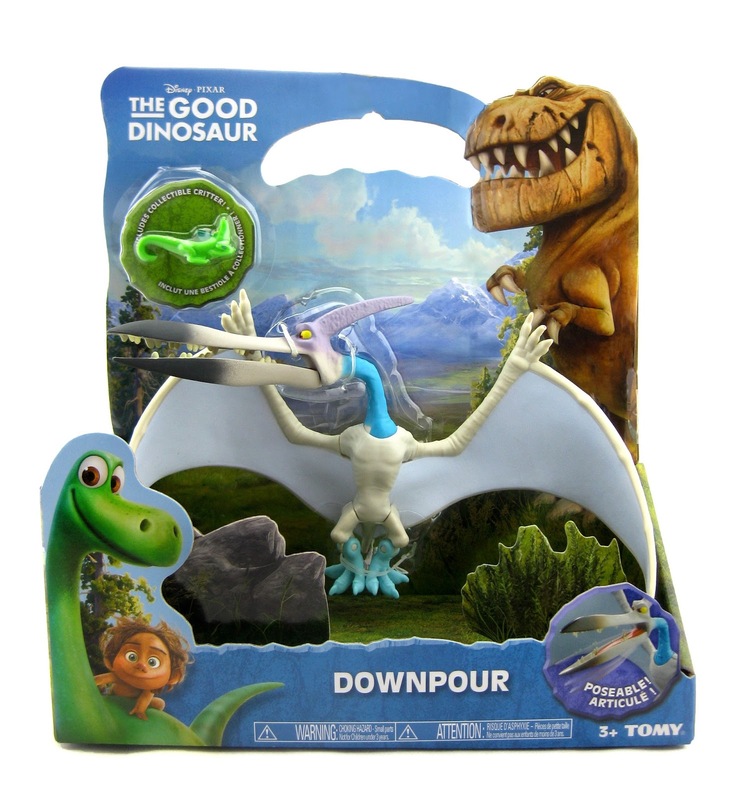 UPDATE 2/27/17- They have now shown up on Amazon Prime and I've added direct links below. 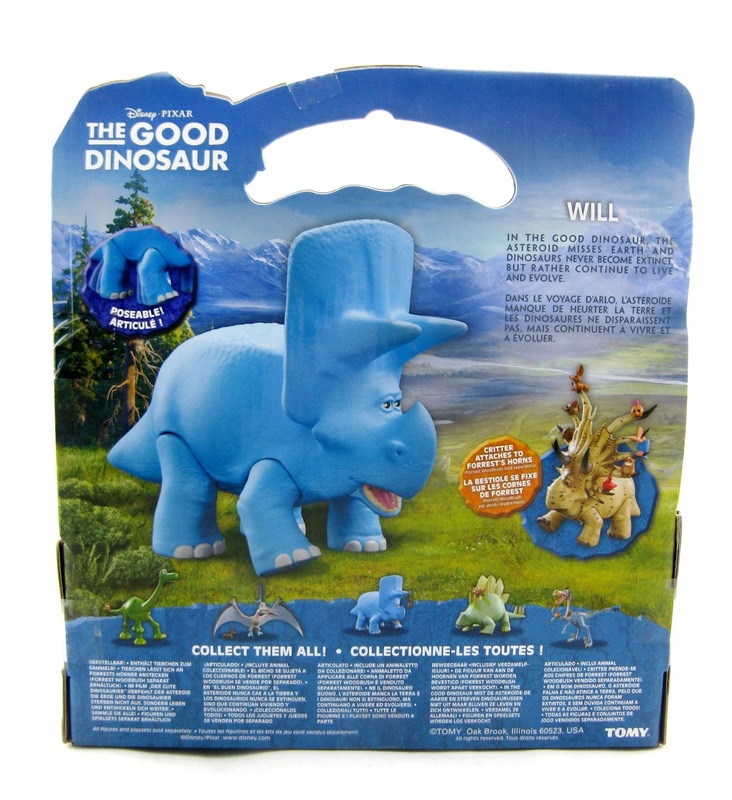 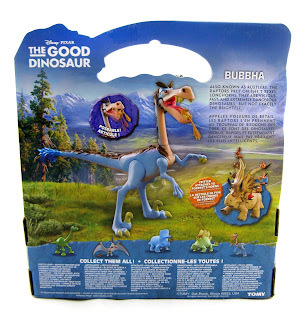 The following characters are actually dinosaurs by TOMY and don't actually appear in the film (same with two of the "large" figures). 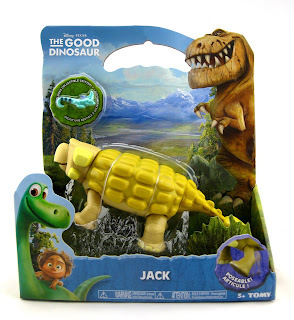 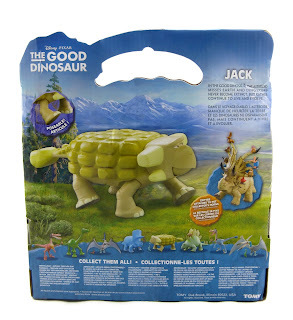 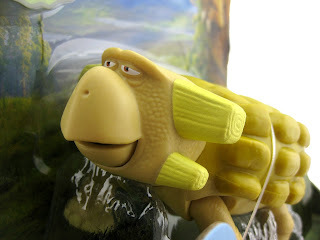 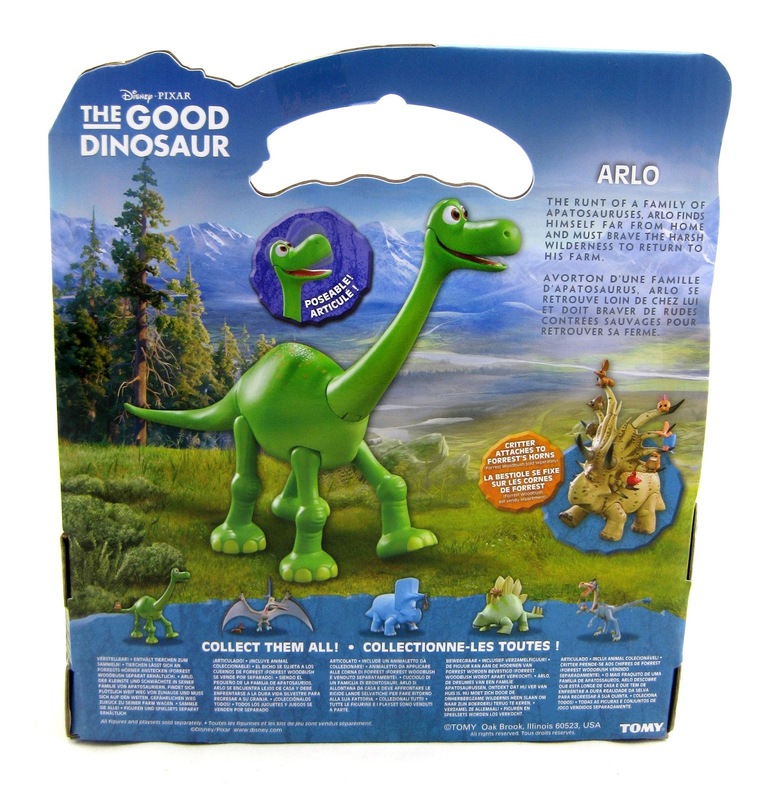 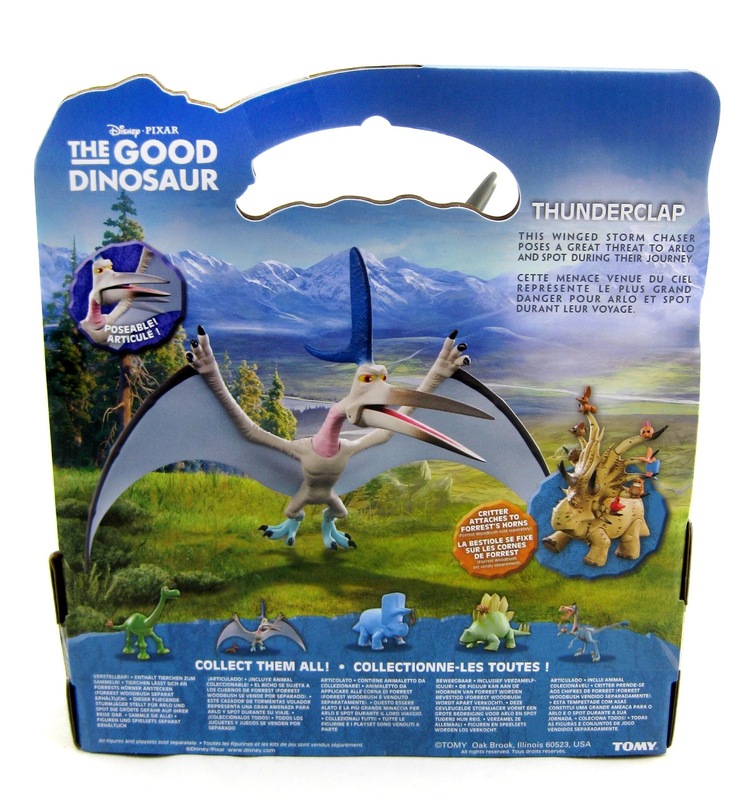 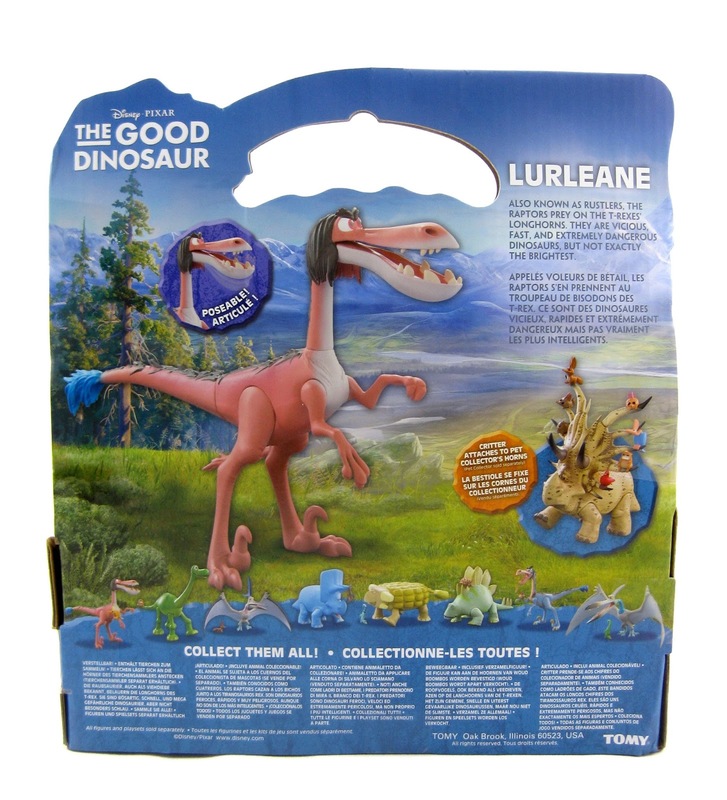 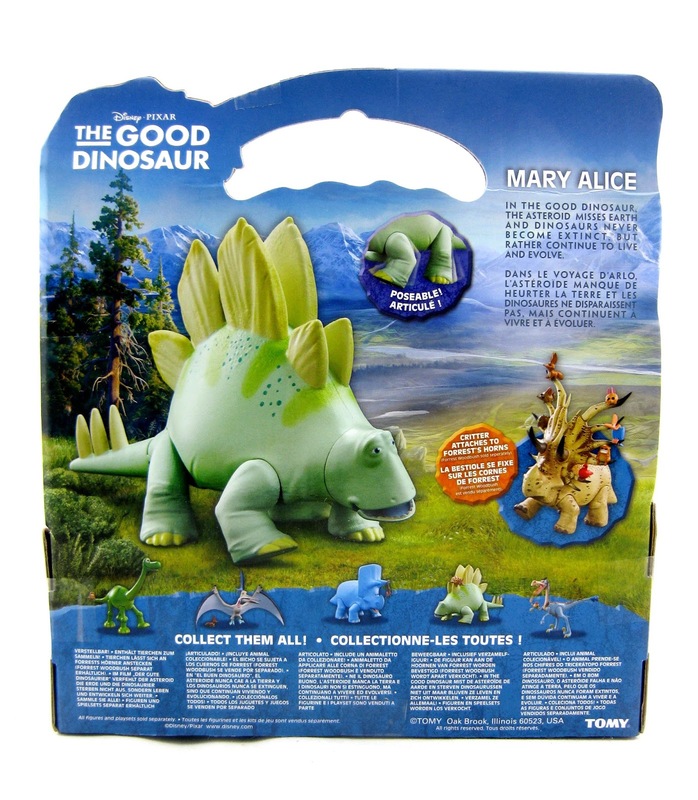 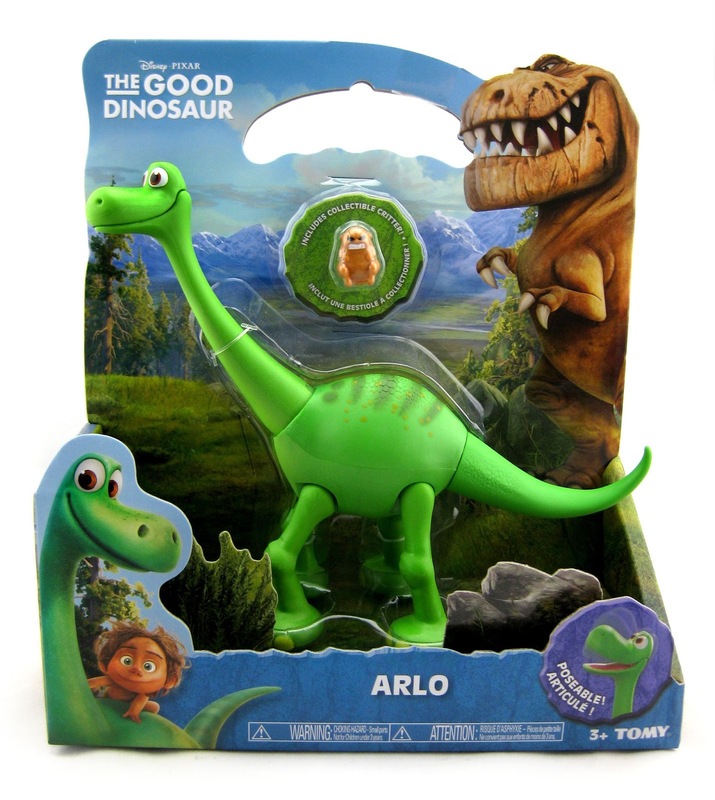 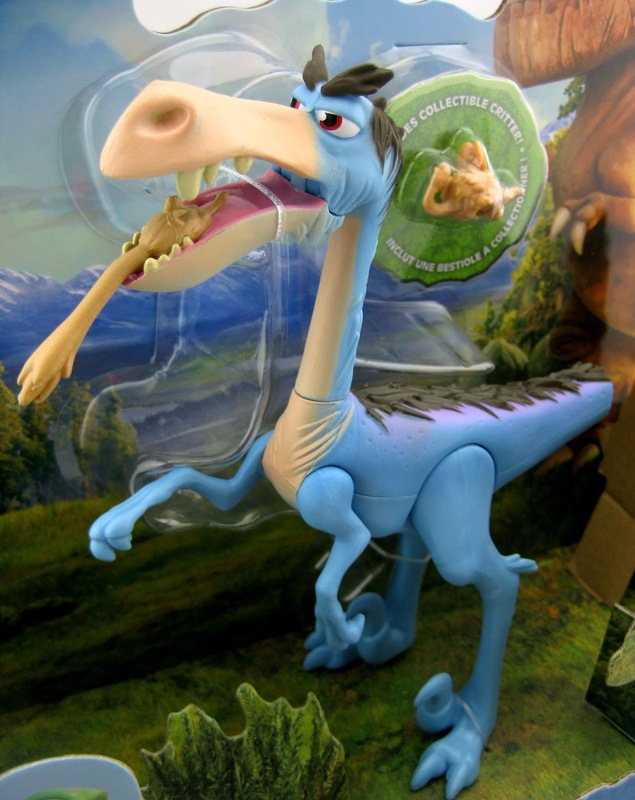 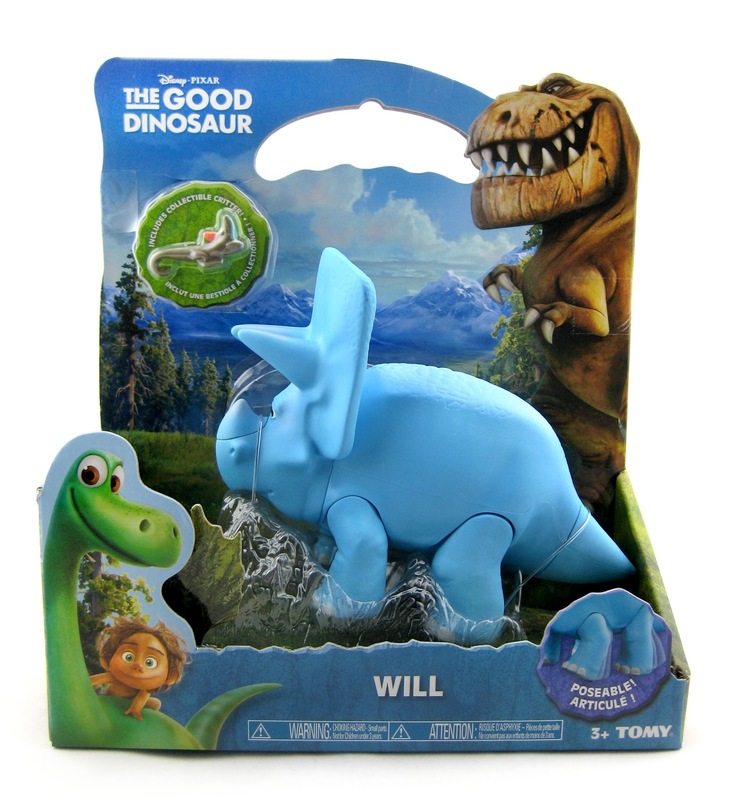 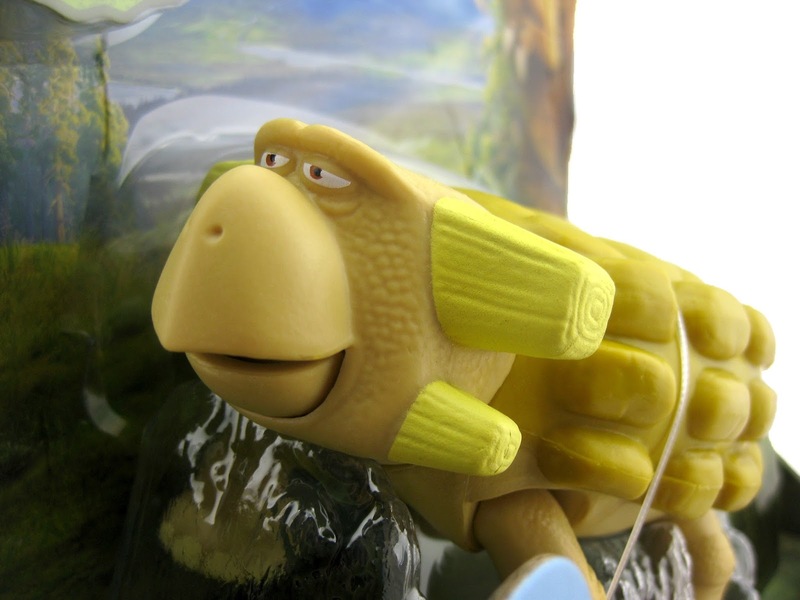 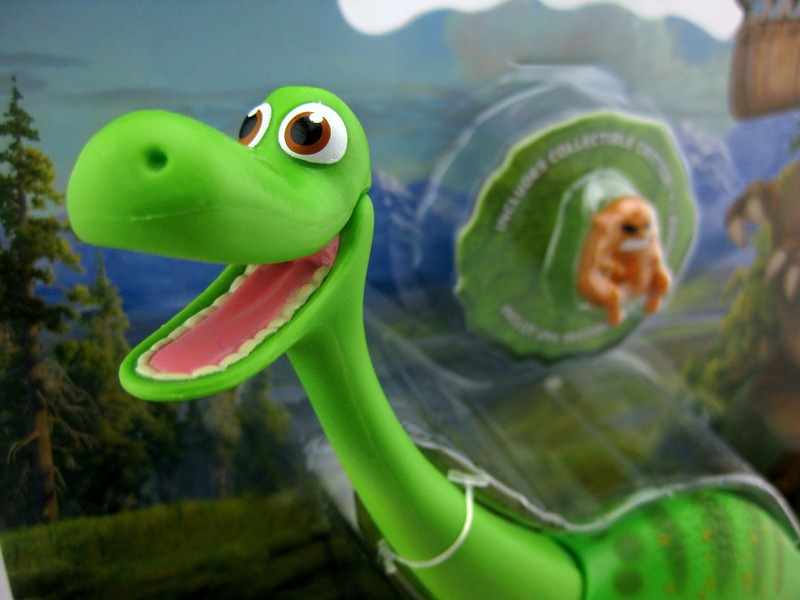 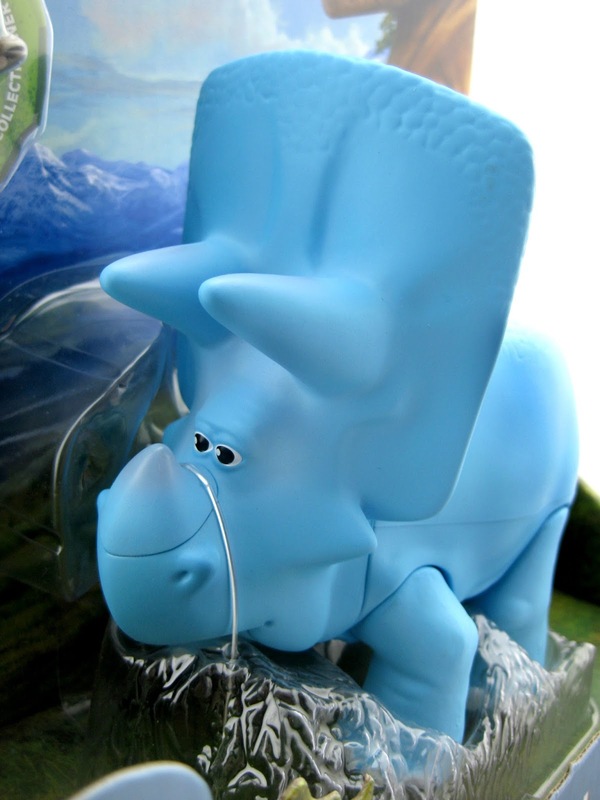 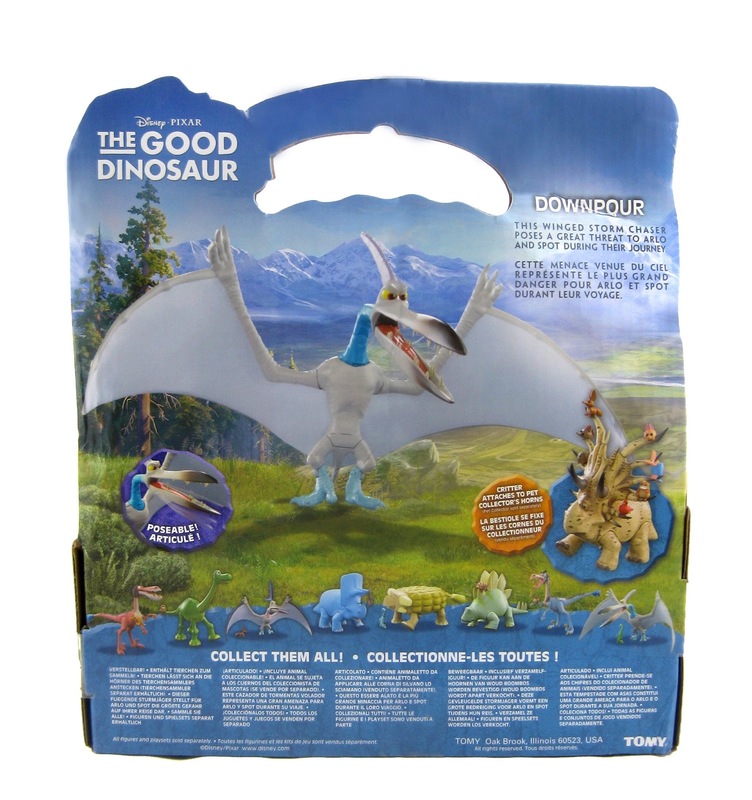 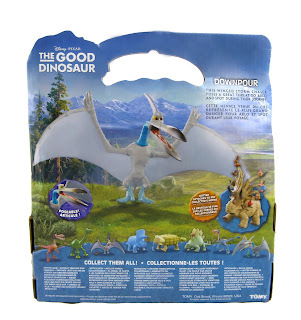 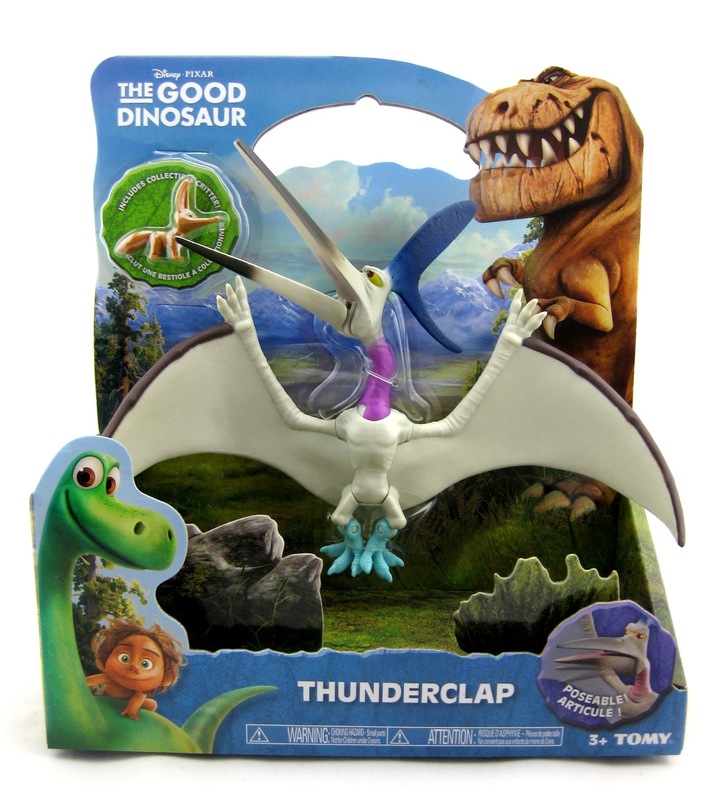 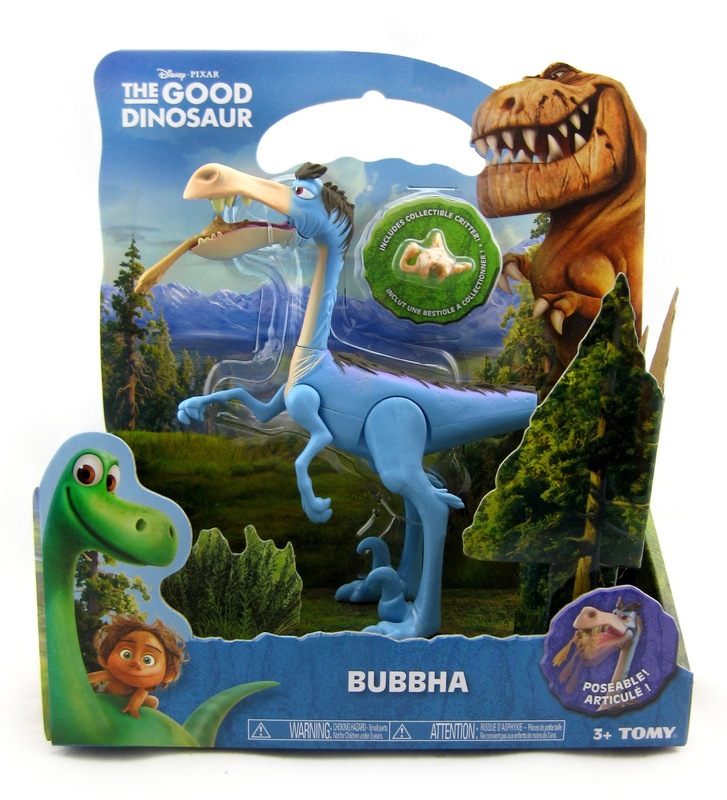 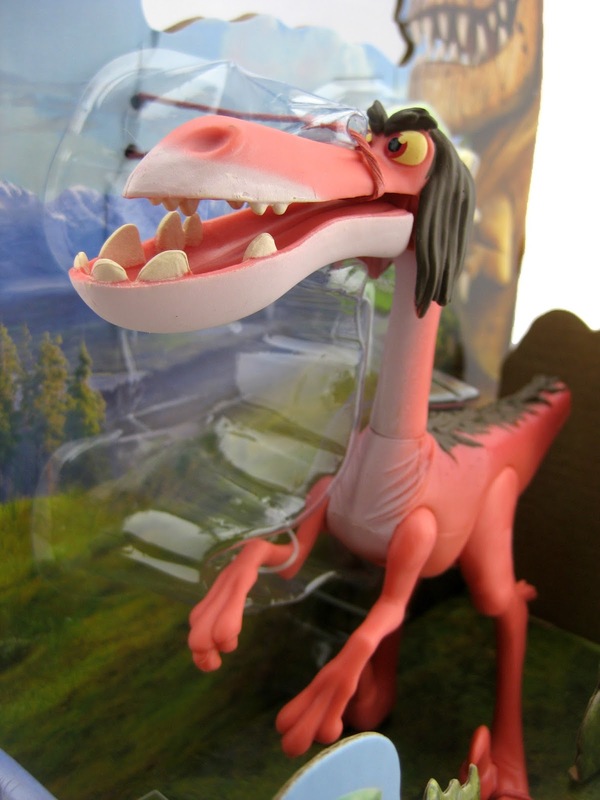 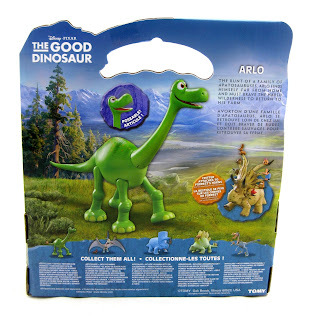 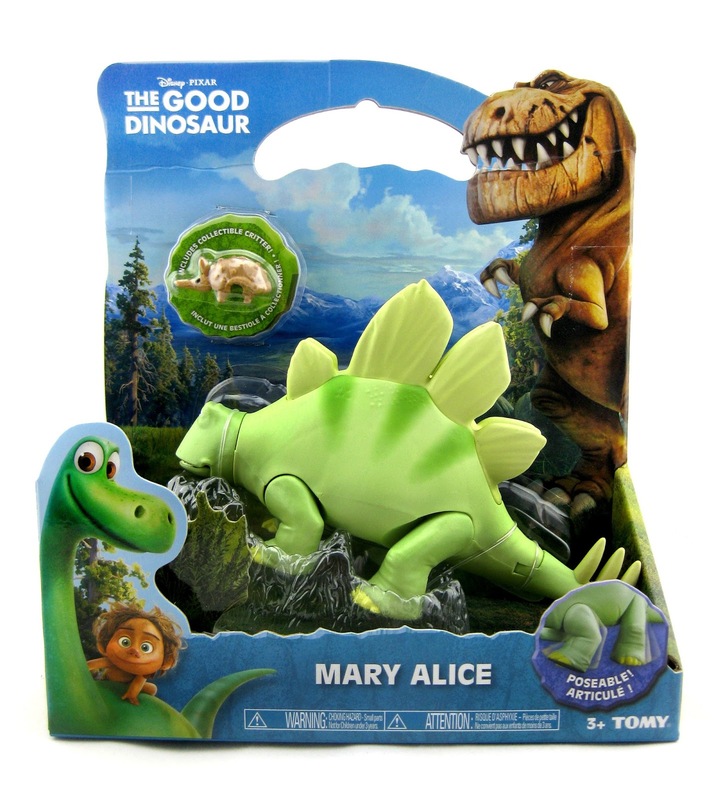 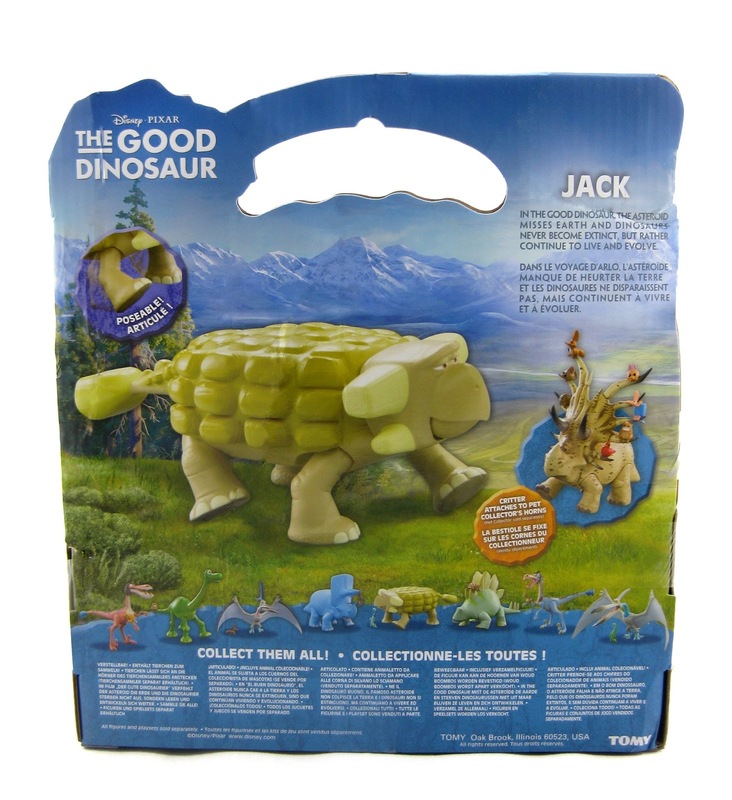 I chatted with one of the TOMY representatives at the D23 Expo and they said that, since kids love dinosaur toys in general, they decided to throw in some classic species in the the style of The Good Dinosaur (some even based on concept art) and named them. Each figure has some nice, basic articulation (I like the opening mouths) and is between 6" and 8" in size. 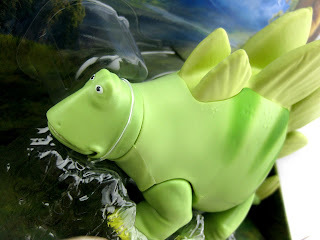 Though I haven't fully taken them out from the package, I can tell that these figures are sturdy and quality made. 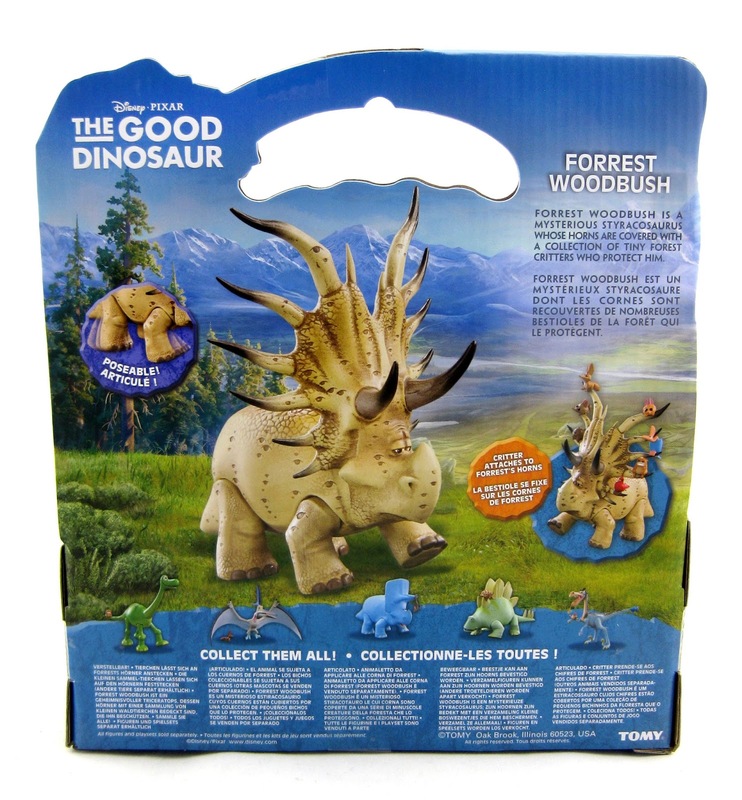 Be on the look out right here tomorrow as I reveal the next group of dinos in this collection (the "extra large" figures). Stay tuned!